I've never meant to closely follow DPRK issues in this blog, but lately it seems to have become a habit, as there have been things worthy of interest lately, involving Finland and North Korea (the train fracas between NK diplomats and Finnish authorites and the subsequent NK complaint over the incident). Another much smaller recent issue is about a Finnish company L-Fashion Group having bought a garment sample from North Korea, which was briefly mentioned in a report Vaatteita etelästä (pdf, "clothes from the south"), which deals with the social and environmental responsibility of companies. The report was introduced in article by a monthly magazine Voima titled Luhta brändää Pohjois-Korean? ("Luhta branding North Korea?). Ordering samples from North Korea is cited by Voima as an example of companies' lack of social responsibility and disinterest towards human rights and working conditions. In it, the magazine is correct. An interesting thing is that it has taken some time for Voima to find out that DPRK is indeed a dictatorship which is, among other things, not welcoming towards factory inspections. Some five years ago, Voima published a DPRK travel report by a juche-enthusiastic Finnish communist (see Kominform maintained by him), in which nothing but praise towards the country was heaped. The original article by the visitor, back the available online, stated that the footage on starving North Korean children must have been manufactured in Hollywood; understandably, that passage had been edited from the published article, cannot tell if by the author or by Voima. In the same page the mag accused Kim Dae-jung of buying arms with his Nobel price money. Say what you will about KDJ's Nobel price, but back then this was Voima's attitude towards people who had risked their lives in struggle for democracy back then. This has left a particularly unwashable stain in the magazine's progressiveness. The affair of the North Korean diplomatic couriers forcibly removed from train in Kouvola, Finland after violently resisting cooperation with authorites continues as a tragicomedy. The DPRK embassy in Stockholm haa submitted a diplomatic note to the embassy of Finland, accusing Finland of violation of human rights when dealing with the couriers. The daily Helsingin Sanomat had a longish story on the case today, with comments from a representative of the DPRK embassy in Stockholm. As for the reason for taking a train from St Petersburg to Helsinki in order to carry mail to Stockholm, the representative told that the two men wanted to experience the famous ferries that operate between Helsinki and Stockholm. I'll return to the article tommorow. • Helsingin Sanomat has translated quite a lot into English, but there is still more to come about the incident: North Korea files official complaint over Kouvola train incident. • YLE (the national broadcasting corporation) has the outlines of the Helsingin Sanomat story in English: North Korea Issues Diplomatic Note to Finland. • Time has made available an article from Nov 1, 1976 on the activities of DPRK diplomats which led to twelve embassy staffers expelled from Nordic countries: Smuggling Diplomats. The Soviets considered the spontaneity of the common people, especially their tendency to violence, to be a dangerous force unless tempered with political consciousness. In North Korea, the people's spontaneity is seen as one of the country's greatest strengths. "All traders are thieves, especially women traders," people often assured social anthropologist Tuulikki Pietilä during her field work in Kilimanjaro, Tanzania, in the mid-1990s. Equally common were stories about businessmen who had "bought a spirit" for their enrichment. Pietilä places these and similar comments in the context of the liberalization of the Tanzanian economy that began in the 1980s, when many men and women found themselves newly enmeshed in the burgeoning market economy. Even as emerging private markets strengthened the position of enterprising people, economic resources did not automatically lead to heightened social position. Instead, social recognition remained tied to a complex cultural negotiation through stories and gossip in markets, bars, and neighborhoods. With its rich ethnographic detail, Gossip, Markets, and Gender shows how gossip and the responses to it form an ongoing dialogue through which the moral reputations of trading women and businessmen, and cultural ideas about moral value and gender, are constructed and rethought. By combining a sociolinguistic study of talk, storytelling, and conversation with analysis of gender, the political economy of trading, and the moral economy of personhood, Pietilä reveals a new perspective on the globalization of the market economy and its meaning and impact on the local level. "A strong, theoretically informed ethnography, Gossip, Markets, and Gender successfully reveals the force of persuasive rhetoric and casual talk in a changing moral economy. At the heart of the matter is a moral dialogue about upward mobility, reputation, and value in the context of postsocialist liberalization and new attitudes toward making money." Tuulikki Pietilä is lecturer in social anthropology at the University of Helsinki. She is the author of numerous articles and essays on trade and gender issues in postcolonial Africa. Two North Korean diplomats carrying post from Russia to Sweden via Finland were taken into custody by the Finnish police in Kouvola on Tuesday after they refused to show their train tickets and to comply to customs inspection. After refusing to show their tickets to the train inspector, they used violence to fend off the custom officials, and they fought also against the police who were called into the scene. They had diplomatic passports, but they were not accredited in Finland. The daily Iltasanomat reported today (no link, this is Finland) that police had had to spray gas into the train compartment to subdue the two men. They were taken to the police station in Kouvola. It took a few hours for the Finnish foreign ministry to find out that they were in fact diplomats carrying diplomatic post, especially as staff from the North Korean embassy in Stockholm had come to Helsinki to meet the men, so police was instructed to treat them as diplomats, and in the end the couriers were escorted to the first available train from Kouvola to Helsinki. Kouvola police is investigating the case as "violent obstruction of authorities" or whatever the term might be in English, but as is quite obvious, the investigation is not expected to progress well. Well, this is of course embarrassing for the tiny number of Koreans living here, especially as the major daily newspaper referred to the fighting diplomats mainly as "Koreans" and not as "North Koreans," but perhaps we can see some sprouts of unification in the men's attitude towards police, as it is quite similar to that shown by some of their Southern brethren when making their views and opinions known. Jang Sa-ik's most recent album Sarami kûriwôsô, came out last December, quite suitably so that I could purchase it while in Korea, and without thinking twice. Hankyoreh has recently had a three-part series of Jang, the Korean singer whose distinctive style isn't quite traditional music but neither modern folk or kayo: part one, part two, and part three. 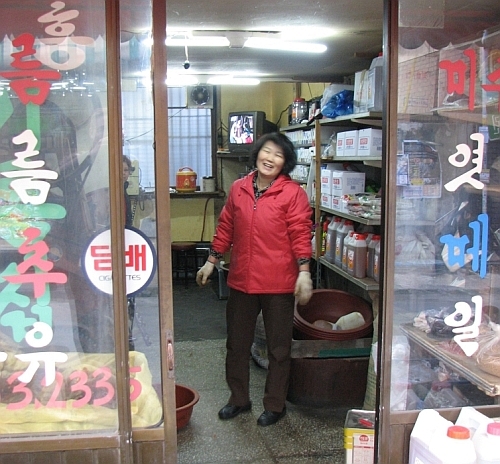 It's now 10 years since Jang, now 59, published his first album. He was born in Chungcheon, oldest of seven children. His father grew pigs for sale, and was also a renowned changgo drum player. During the last years of elementary school he began to sing - or better, shout - by himself, going out to the woods to sing from the top of his lungs, from which his vocal power developed, and due to abstinence from alcohol and cigarettes, he has also been able to maintain it well. He graduated from a commercial high school in Seoul, and went to work after finishing military service. (Interestingly, there doesn't seem to be any closer details about his wage work in the articles.) He did not show any specific singing talents as young, but did sing throughout all the years, becoming more serious during high school and going to a singing school for three years, "as I thought that it'd live well if I knew how to sing." He was fired from this unnamed job in the mid-70s, and started making a living by doing all kinds of jobs. During those years, he was losing his contact with singing and music, but his playing of t'aepy'ôngso (see picture on the right) kept the music in him. 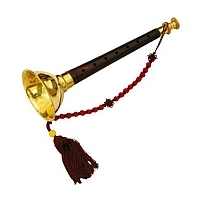 In the early 90s he was awarded the first price for the instrument in a couple of competitions. He did not sing yet one stage but during gatherings after events (twip'uri), from which he gathered fame, and met pianist Im Tong-ch'ang, which really started his career as a singer. Music critic Kang Hôn recounts a concert from 1996 to which he had booked then unknown Jang, accompanied by Im. Kang was nervous about how Jang would be received, standing alone on a wide stage with a pianist. Jang performed a 10-minute rendering of Hanûl kanûn kil ("Road to heaven") (mp3, 9.7M), after which there was a one-second silence followed by roof-raising applause and cheer. "It was not just a habitual response but a cheer that only an overflowing emotion can raise." The title of this note, "sad fragrance of wild rose" comes from his perhaps most renown song Tchillekkot ("Wild rose"), in which he sings about crying all night long for the sadness of the wild rose fragrance. The Hankyoreh reporter asked what has been so sad about it. It had been after a difficult winter '92-93, when Jang had been without a proper job, just parking cars in a relative's car repair. "That winter went by and spring came. Back then I was living an apartment in Jamsil. One day in May, when leaving the apartment block I felt the fragrance of [tchillekkot] wild rose. I could see only red changmi roses, but the fragrance was different. 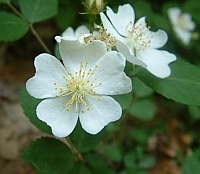 I looked more closely, and saw the white petals of a shyly blossoming wild rose. It reminded me of my childhood. In the spring we used to eat the white rose petals from the field. The elders said it'll kill insects. The white wild rose cornered behind the red flowers looked so beautiful to me. And I felt the rose was like me: could't stand straight and reach its proper form, but needed to mind others all the time. I felt sad because it seemed so similar to my situation. Just so sad. And I burst into tears. But after letting out my sadness I felt refreshed. Wiping away my sadness, I felt that it was transformed into joy." And here, Jang sings Abôji ("Father"), accompanied only by a guitarist. 오마이뉴스를 통해서 들어오시는 분들은 반갑습니다. 물론 송 기자님은 제 블로그를 자세히 알리고자 하는 의도는 없었지만 이 블로그를 좀 더 정확하게 소개하도록 하겠습니다. "정치, 외교" 주제를 가끔씩 다루긴 다루지만 이 블로그를 만들었을 때부터 "인류학자답게" 주로 한국인들의 일상생활, 사회문제, 계급-계층구조와 의식, 사회문화개념, 그리고 저의 연구주제와 가까운 자영업자들 등 중심으로 노트를 적어 왔습니다. "좌파적" 시각을 완전히 부인할 수는 없지만 특히 자영업자들에 대해서 쓸 때 그들의 가치관을 많이 반영하기 때문에 블로그의 내용도 좌파적 시각에서 멀어지게 됩니다. 물론 한국 정치, 정당들 중에 민주노동당에 대해서 제일 많이 썼지만 대부분 비판적 태도를 가졌습니다. 정치적으로 반대쪽에 있어서가 아니라 그 당이 제가 바라는 방향으로 발전되고 있지 않기 때문입니다. 제가 블로그해 왔던 주제들은 아마 가장 손쉽게 모든 노트가 주제별로 나뉘져 있는 del.icio.us/hunjang에서 볼 수 있을 겁니다. 아, 그리고 오마이뉴스를 말하자면 몇년 전에 저의 인터뷰가 영어로 그곳에서 나온 적이 있습니다. Even though it might be easy to get the impression that Koreans smoke much more than Finns, a closer look at available stats shows that both smoke approximately as much, but in Finland, as may be expected, the gender equality is much better in this regard: women have the right not to face social pressure when smoking in public any more than men. In 2005, 22% of Finns smoked - 26 percent of men and 18 percent of women. In Korea, counting the approximate average between the 44% smoking rate of adult men and 2.3% of women, the Korean figure is perhaps one point higher than that of Finland. In Korea, a huge drop in smoking has taken place after tobacco prises were hiked in 2004, when 58% of men smoked - so huge that it's difficult to believe (but a welcome drop anyway, if true). In Finland, men's smoking rate has diminished from 36% in 1979 to 26% in 2005, but women have bravely maintained their figure in 17-20%. Among people between 15 and 24 years of age, we've achieved gender equality: 20% of both men and women smoke in 2005. Not that I'd advocate such gender equality in Korea in which women start smoking as much as men: I'd rather have men smoke as little as women - rather than over third of women smoking in public, I'd have 2-3% of men smoking in toilets because of social pressures. (Sure, that'll present other problems and inconveniences...) I'm not sure if smoking has started to be associated with lower income strata with less education, which definitely has taken place over here (even though in our anthro dept that's not the case - but very few of us would belong to any high-income strata anyway...) Considering this report by Hankyoreh in a series of health inequality, however, according to which smoking among the highly educated and clerical workers has decreased more than among the low-educated strata, it is conceivable that it is on its way becoming a status and class marker - and not a marker of proper manhood, for example. that in order to initiate exchange with the Venezuelan ruling party, DLP has sent a negotiation and a study group to the country, invited and paid (except for plane tickets) by the Venezuelan government. A writer of the DLP periodical Chinbo Chôngch'i (Progressive Politics) is accompanying the visiting group, and he will write a series for the magazine with the title "Going to the land of revolution, Venezuela." Not that I have much expectations for DLP anyway any more, but this is just one step down the slope. (For views on Chavez by a progressive US journalist and blogger Marc Cooper, see here, here, here, and here.) If the DLP team learns something about ruling a country by decree, they might also write an article in Chinbo Chôngch'i about the difference between the powers that have been granted to Chavez in Venezuela and the Yusin "revitalization" rule of Park Chung-hee in the 1970s South Korea. 3년전에 찍은 비디오이지만 올해 드디어 스키를 탈 수 있게 된 반가움을 표현하기 위해서 올린다.